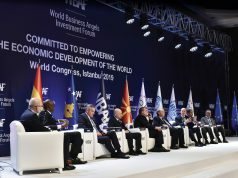 As announced by the World Business Angels Investment Forum, Dina Vasic, Senior Lecturer in Finance and Accounting Department, Zagreb School of Economics and Management, has been appointed as Senator at the Grand Assembly of the World Business Angels Investment Forum. Senator Vasic to represent Croatia in the Academic Committee of the Grand Assembly. (London) With this new appointment, academic world of Croatia has joined the largest global angels forum of the world and will now be able to connect with the global angels market, which will open up splendid opportunities for the country. Baybars Altuntas, Chairman of the WBAF, says ‘WBAF supports academicians, and helps universities connect with global early stage equity markets and other relevant institutions. 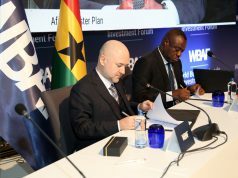 We are confident about our contribution to the economic development of the country by facilitating connections with entrepreneurial ecosystems. We strongly believe that Croatia to achieve the academic development of its ecosystem through this appointment’. 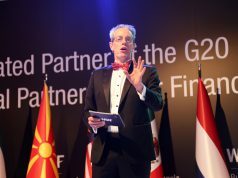 The Global Partnership for Financial Inclusion (GPFI) is an inclusive platform for all G20 countries, interested non-G20 countries, and relevant stakeholders to carry forward work on financial inclusion, including implementation of the G20 Financial Inclusion Action Plan endorsed at the G20 Summit in Seoul. She is full-time Doctoral Candidate at the University of Ljubljana, Faculty of Economics and a Senior Lecturer in Finance and Accounting Department, Zagreb School of Economics and Management. Her research is focused on angel investment decision making, and it has been awarded invitations to leading doctoral conferences, including Babson Entrepreneurship Research Colloquium (BCERC) and European Academy of Management Consortium (EURAM). 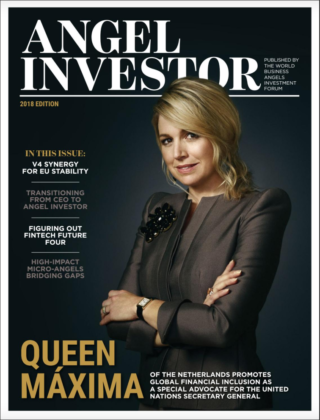 Area of her research are angel investments, entrepreneurial finance, angel investment behavior and behavioural finance at large. For her doctoral studies, she was rewarded two scholarships, and multiple research and travel grants throughout her career. As a full-time faculty member at Zagreb School of Economics and Management since 2008, she has taught various courses at the undergraduate program level, including Corporate Finance, Personal Finance, International Finance and Mergers and Acquisitions. In Spring 2016 she visited Cologne Business School, Germany and in several education panels in 2016 and 2017 spent time at GESIS Institute, Cologne, Germany. In 2017 she visited the University of Vienna, Austria, as part of her doctoral research. Dina holds a BA and MBA in Finance and Banking degrees from the Zagreb School of Economics and Management, Croatia. She volunteers at CFA institute since 2015 as a faculty mentor, and at Croatian Diplomatic Club as an associate member and member of web editorial board.